So I have been told over the years that I need a page where people can grab the pertinent information about me and my endeavors. Hopefully this page meets that need. Email me directly at headheed@hotmail.com if you have questions, comments, concerns or jokes about Donald Trumps hair. Randy King is a man of dual passions – cooking and hunting. As a chef he has cooked professionally for nearly 20 years across the Northwest. As a lifelong hunter Randy has traversed America hunting everything from Caribou in Alaska to hogs in Florida. 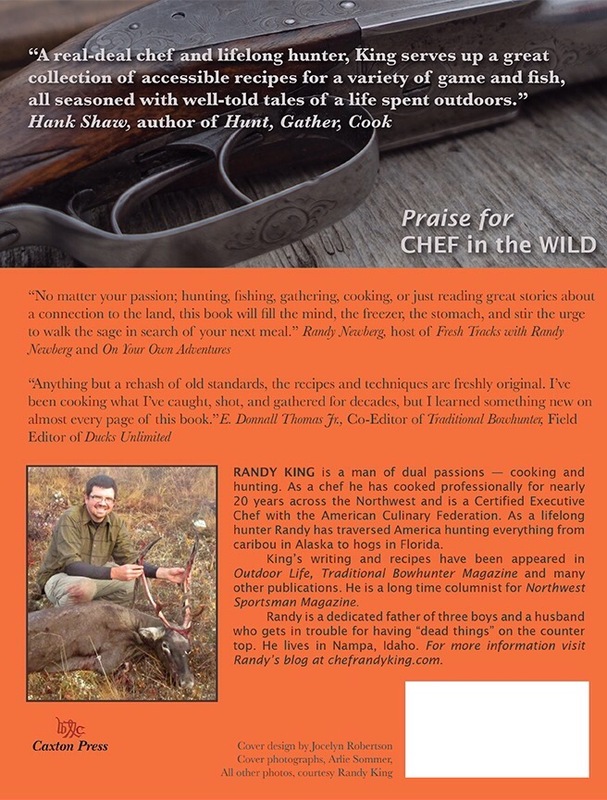 Kings writing and recipes have been appeared in Outdoor Life, Traditional Bowhunter Magazine and Boise Weekly. He is also a long time columnist for Northwest Sportsman Magazine. Randy is a dedicated father of three boys and a husband who gets in trouble for having “dead things” on the counter top. Randy lives in Nampa, Idaho. 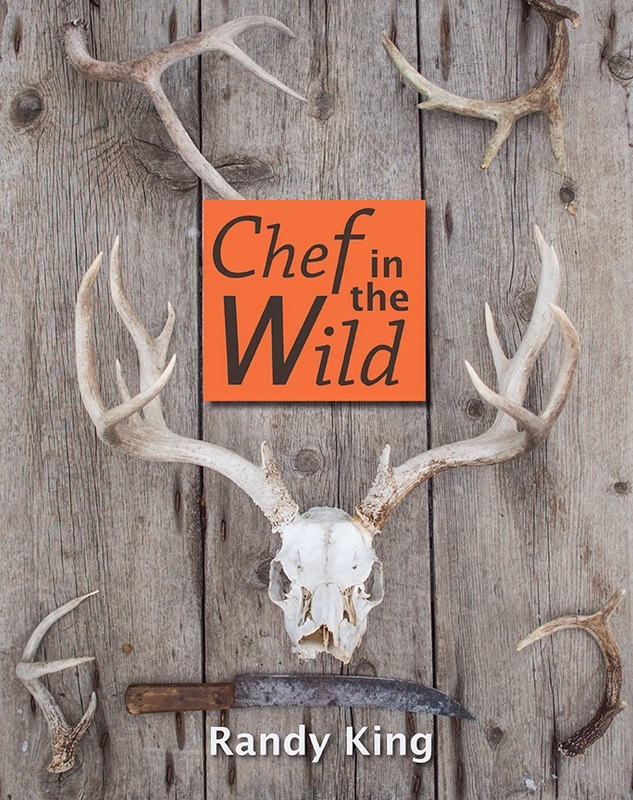 Chef in the Wild is his first book. Randy is a dedicated father of three boys and a husband who gets in trouble for having “dead things” on the counter top. Chef in the Wild is his first book. For more recipes and writing visit Randy’s blog at chefrandyking.com. I am a man of dual passions. Cooking and hunting. As a chef I have cooked for over 15 years in professional kitchens – everything from frog legs at Gary Dankos to Chicken Parm in huge hotels. While a chef I gathered a reputation (among other things) for my wild game preparations. My cooking picked me up accolades and awards along the way. Email me, I can tell you all about it. It is wild game that truly inspires me. I live to hunt. When I am not hunting I am thinking about hunting. When I am not thinking about hunting I am most likely cooking. It is the connection of those two passions that I thrive in. The razors edge of my life. I am also a dedicated father of three boys, a husband who gets in trouble for having “dead things” on the counter top and an Outdoor and Food writer. I have been published in Outdoor Life, Cooking Wild, Restaurants and Institutions and many others. I am a reporter for the Boise Weekly and a columnist for Northwest Sportsman Magazine. The blank page terrifies me but I look forward to telling others about food and hunting each time I sit down to write. Connecting the dots of my passions are two projects, both called Chef in the Wild. One is a book and the other is a video series. Look around this website and you are bound to find out more. When I am not out in the woods, I am making a mess behind the stove. Much love and thanks for taking a look.